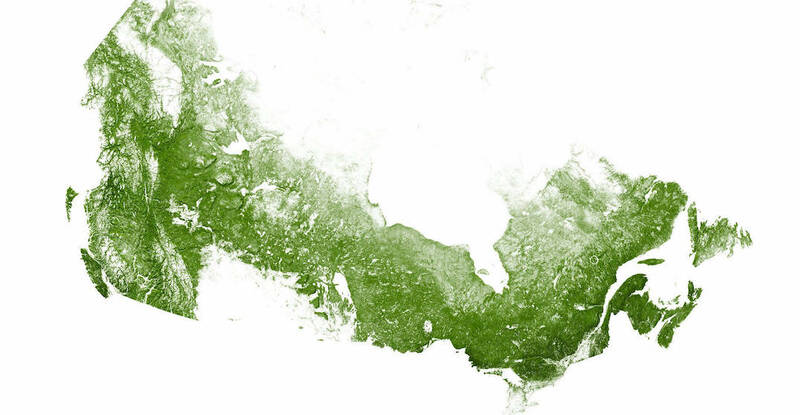 Canada is home to 10% of the world’s forests, according to Trees Canada. 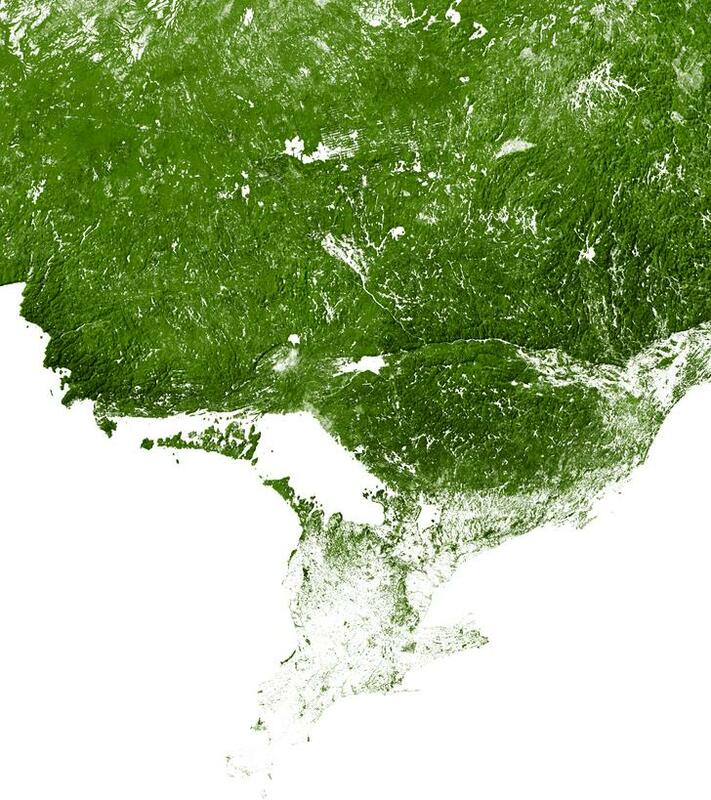 In fact, forests cover almost half of the country’s landscape, 94% of which are publicly owned. 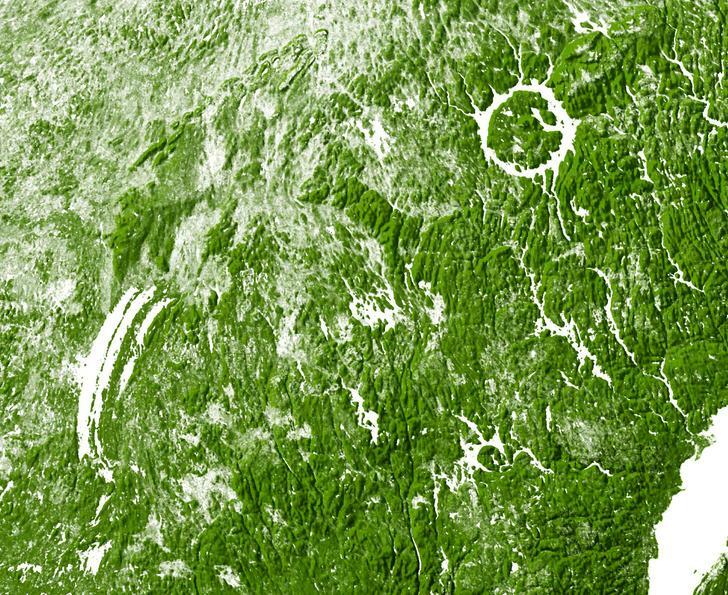 There are also other forests, called urban forests, that are a small part of the Canadian landscape, and 80% of them are in cities and towns. 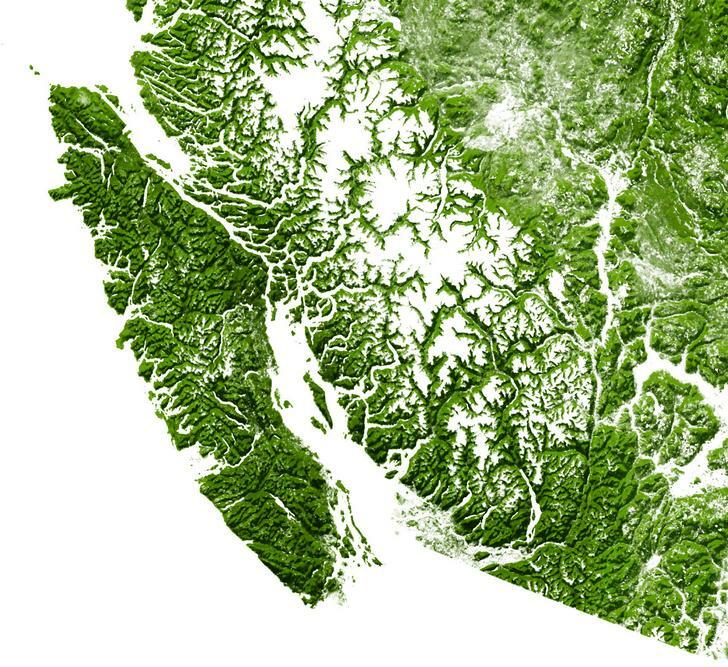 The amount of green in this country is extensive, and a designer has created maps of what Canada looks like using just its trees and forests. 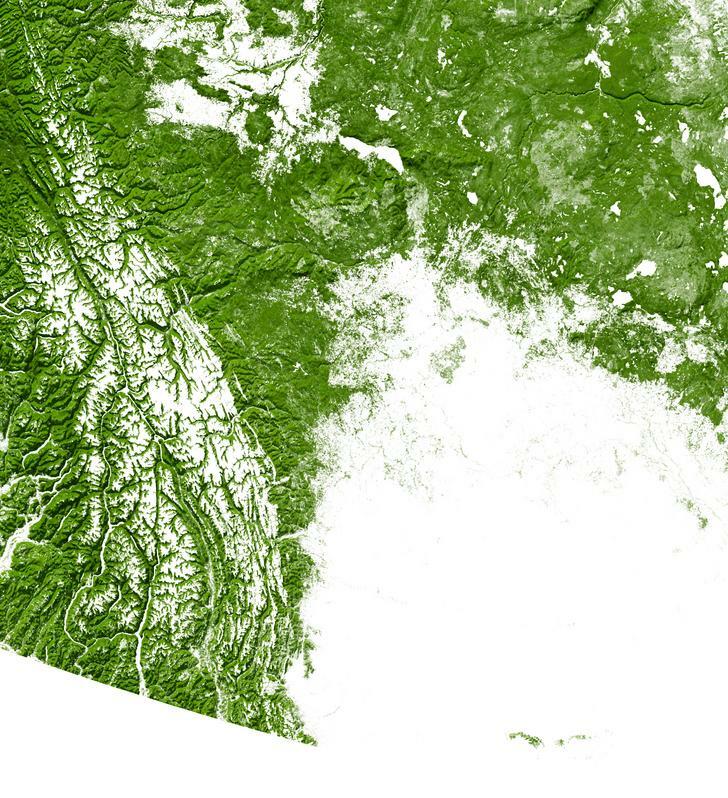 The maps, created by EarthArtAustralia, shows the natural patterns of over 5 million square kilometres of trees and forests across Canada. 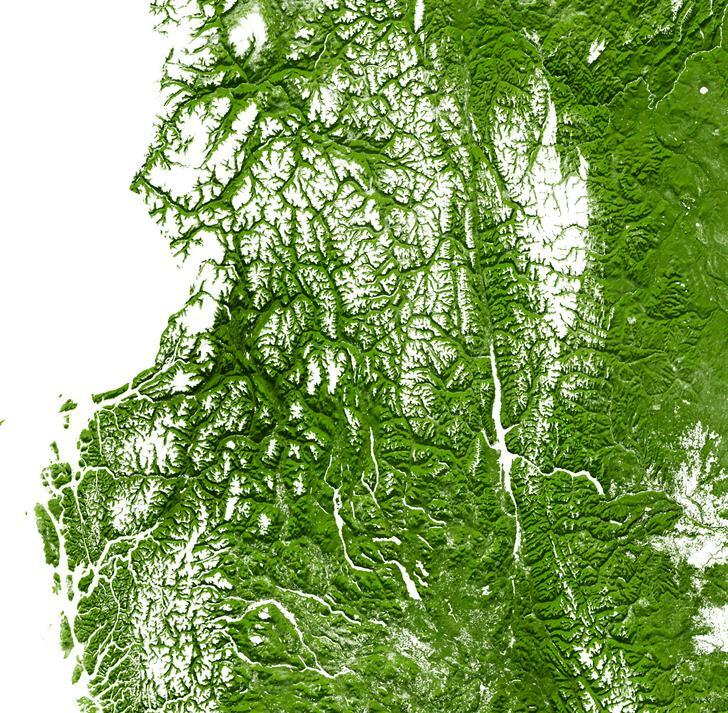 “What truly sets this beautiful minimalist map apart is its amazing level of detail: our ‘Forest’ maps have been specifically designed for viewing both from a distance or extremely close up to see the unique geography of the country displayed in all its spectacular detail,” state the designers. 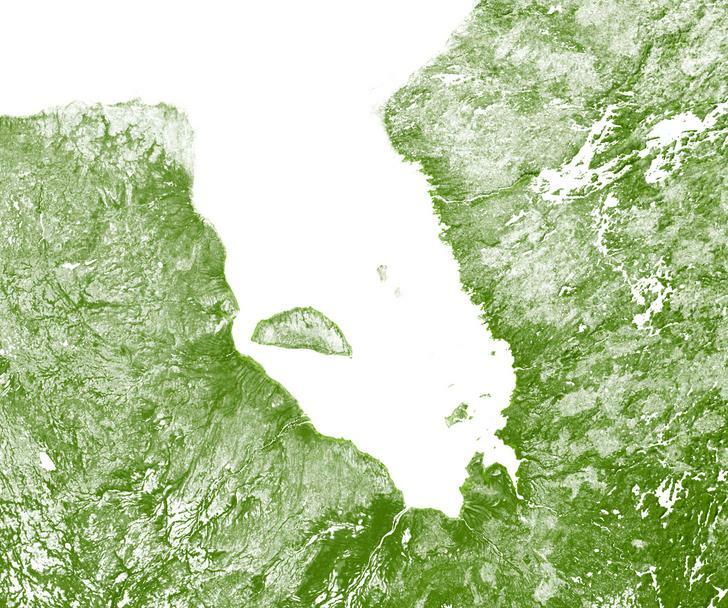 The images, produced from detailed satellite imagery, are available in print for those looking for gift ideas. Check out some of the localized maps below.